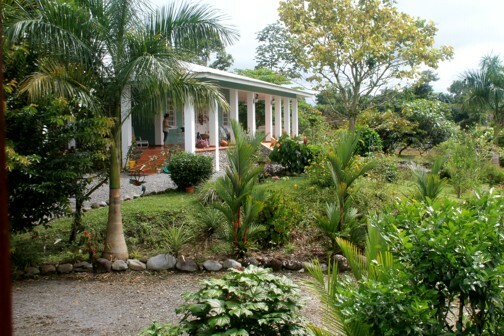 The Plantation house compound is located just north of the Chiriquí town of Concepcion. 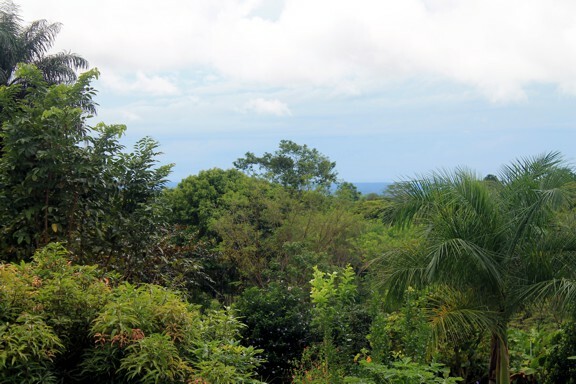 Which is a half hours drive east of the Costa Rican border. 15 minutes drive west of David City and 7 hours drive west of Panama City. 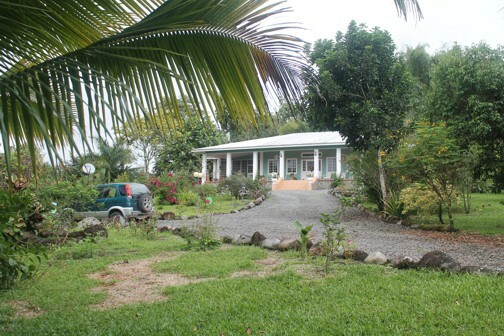 Wisely, the owners built this plantation house out of steel and concrete. 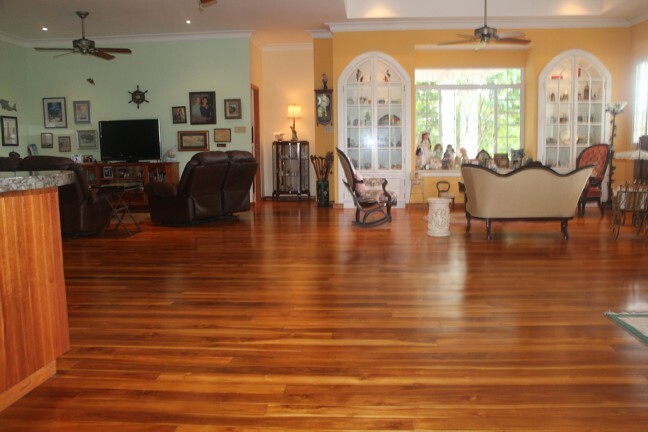 The only wood used in construction is termite resistant hardwood Teak used for the flooring. 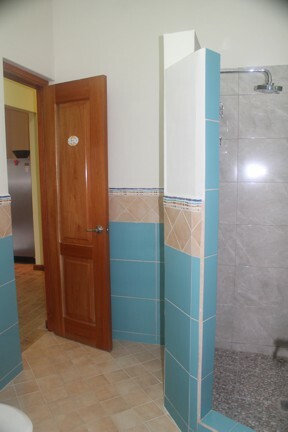 Construction was in 2010 and was built to high North American standards. 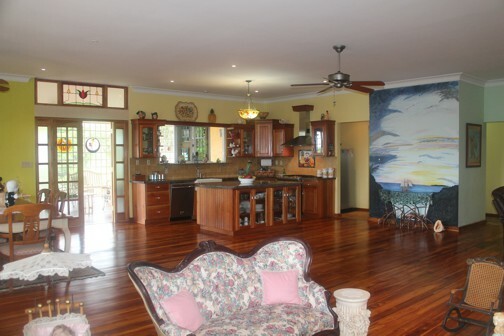 The main house has 4,000 square feet under roof with 15 ceiling fans and a full air conditioning system. 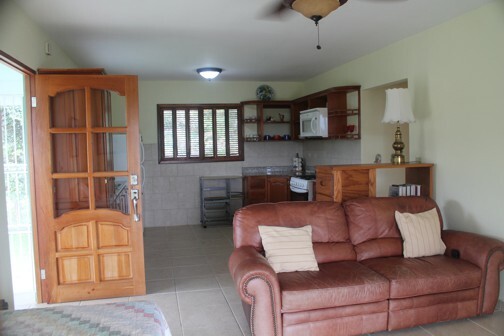 However, the property sits at an elevation of 1350 feet which affords fresh day and night time breezes, this provides a very comfortable living environment. 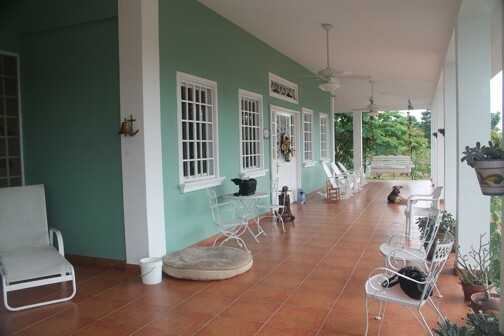 As with traditional plantation houses there is a wide and south-facing verandah. 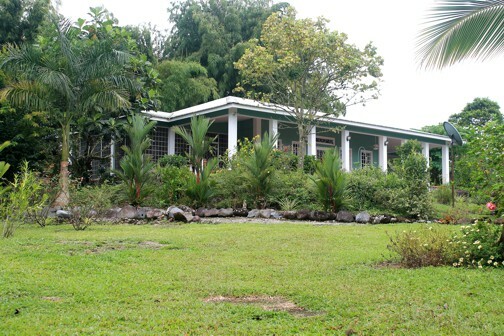 This plantation house has the added feature of a second enclosed patio verandah on the west side of the house. 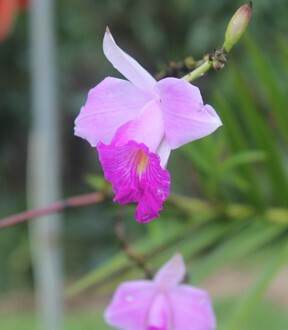 Tropical living is done as much as possible either outside the home or where the cooling breezes can be enjoyed. 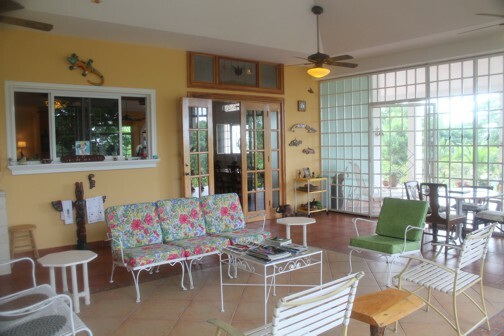 This secured patio with its high vaulted ceilings and tiled floors provides a spacious and airy place to sit and relax. This enormous living room will make you the envy of your friends. 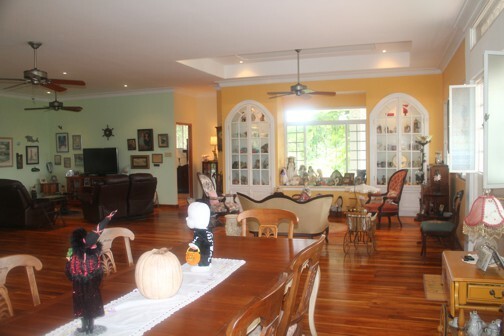 The Teak flooring and furniture gives this stately living and dining area that final touch of "Colonial Style" elegance. 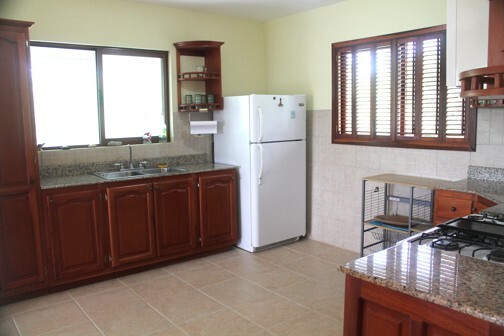 The kitchen features granite countertops, dishwasher, sink and large stove. 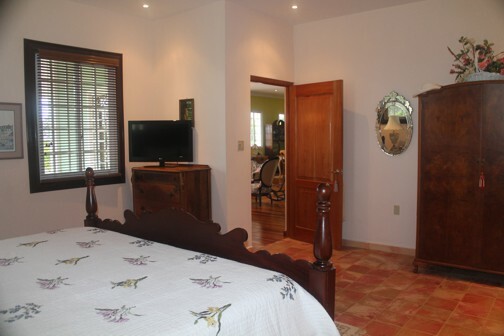 The master bedroom is located directly off the main living room area. 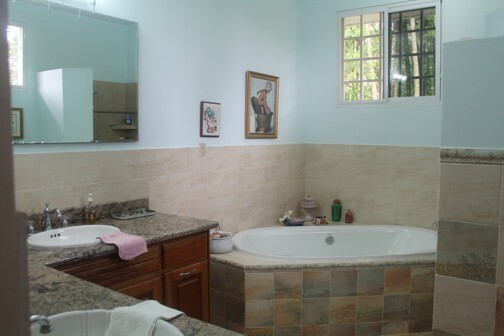 It has walk-in closets and an ensuite bathroom with soaker tub and shower. 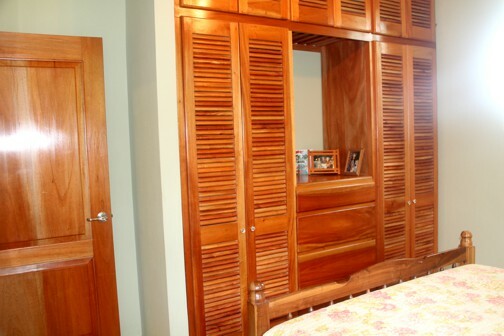 The guest bedroom is light and airy and has Teak dresser and closets. The third bedroom has a bed/settee combination. 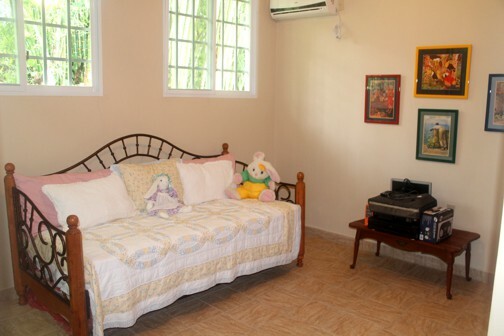 The room is light and airy and if needed there is a split style air conditioner. 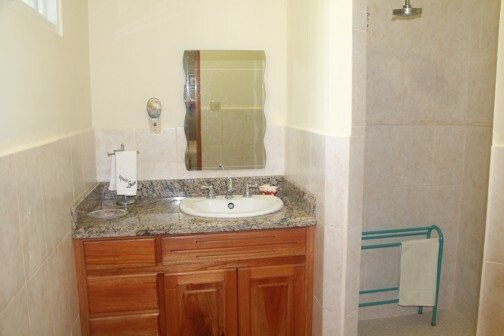 Each of the guest bedrooms has its own ensuite bathroom. 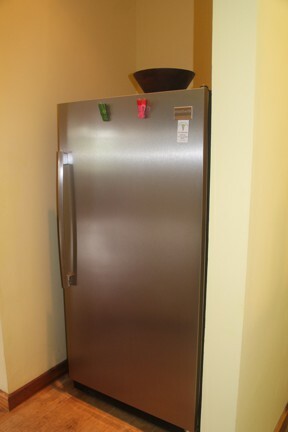 close to the kitchen is a pantry and a large stainless steel refrigerator. 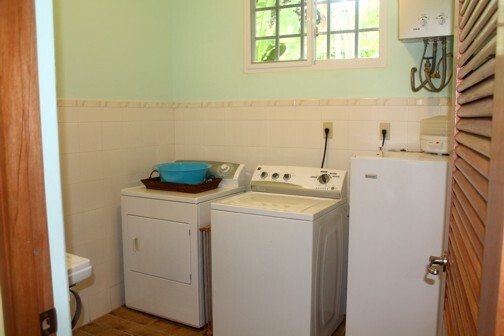 Down the hallway is the utility room with a washer/dryer and sink. 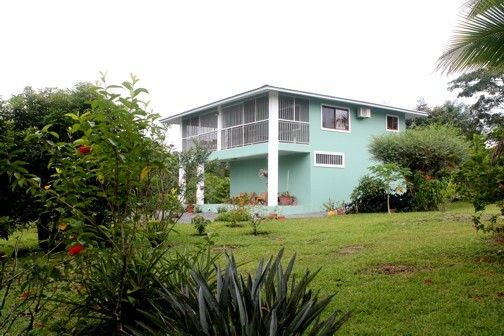 On this two and three quarter acre property there is a full sized second home. This was where the owners lived when they were building their dream plantation home. 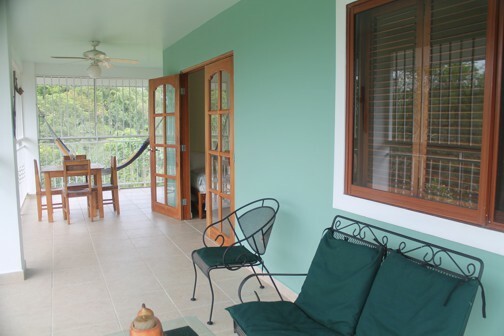 It has west and south facing balconies and yes, it does have an ocean view. 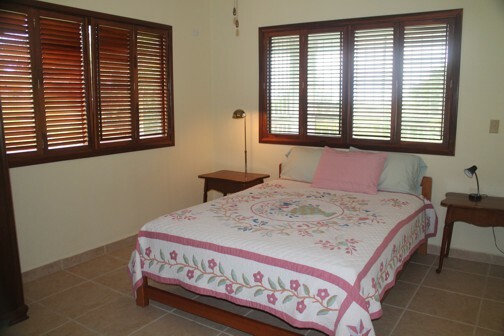 The house is tastefully decorated with teak window shutters and accents. 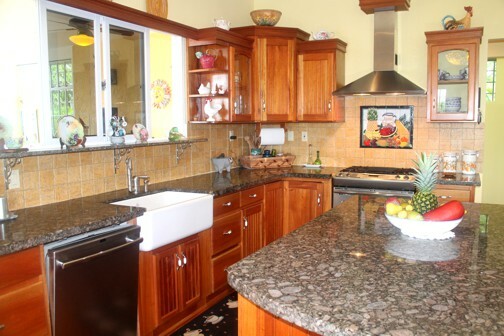 Marble counter tops highlight this compact kitchen design. 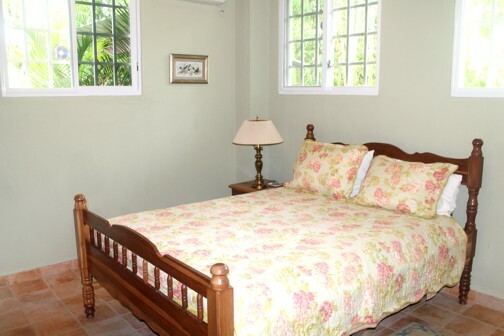 This is a perfect guest house or in-law suite. 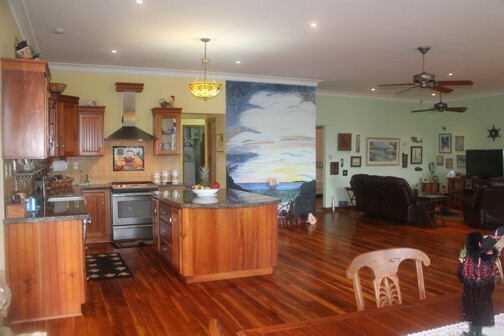 The ground floor features a two and a half car garage and ample space for that ever necessary male-thing . . . a workshop. Many long and hard hours have obviously gone into clearing and landscaping the garden. 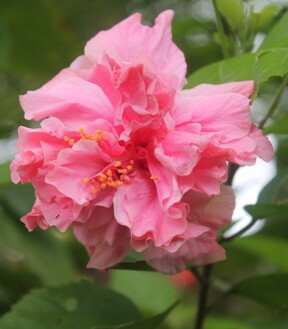 Anyone who has visited the Hawaiian islands will be delighted with the ever present fragrance of tropical blooms that can be enjoyed throughout the plantation house gardens. 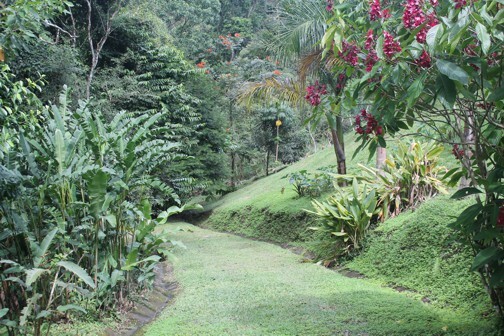 A road runs down through the property to the nearby Mula river. 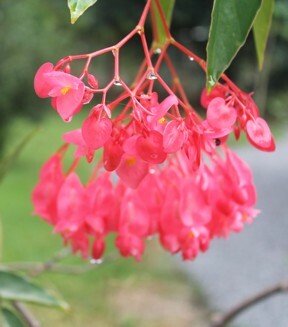 This will be a true delight to any nature lover or bird watcher. 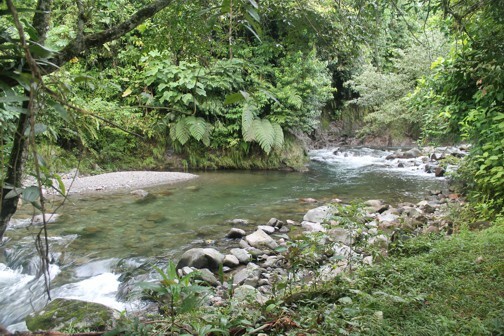 The river flows year long and provides a safe and refreshing place to enjoy a swim. 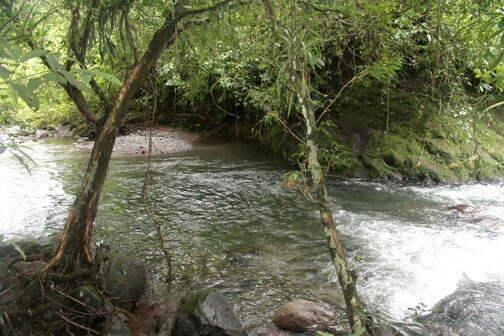 Pictured below is the swimming hole. There is no public access to this spot - so it is yours to enjoy almost exclusively. 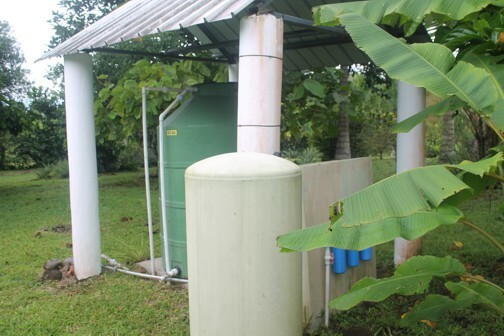 Although municipal water is nearby the property features a well and large storage tank. The water has been tested at the local university and is of excellent quality. 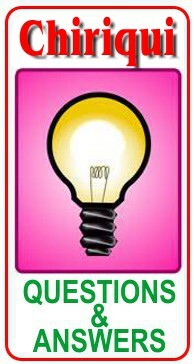 Electricity is from a local provider however, there are two well established solar power distributors in the area, so it would be feasible to be entirely off-the-grid if you wished. 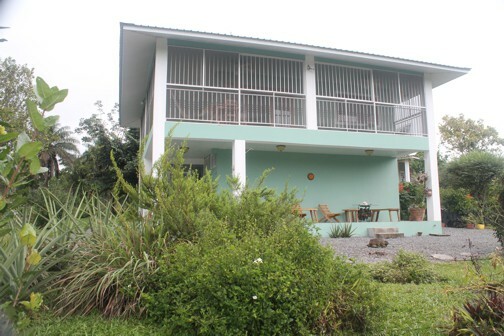 Note: we at www.yourpanama.com have installed a solar system at our house in Chiriquí and could happily advise the new owners on a system for this house. 2 banks with ATM's. Two modern hardware stores. Numerous small restaurants and stores. DAVID CITY: is about 15 minutes drive away and has an international airport, major hospitals and a first world shopping center. BEACHES: about 30 minutes drive south of David are many beaches. VOLCAN: is about 30 minutes drive north from the home and has 9 supermarkets, 3 hardware stores, 3 banks, and 30 places to eat. 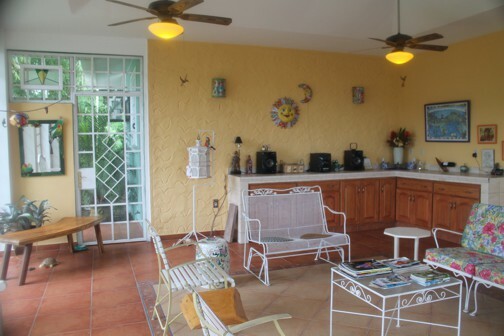 Volcan also has about 300 expats who meet regularly and welcome and assist newbies.